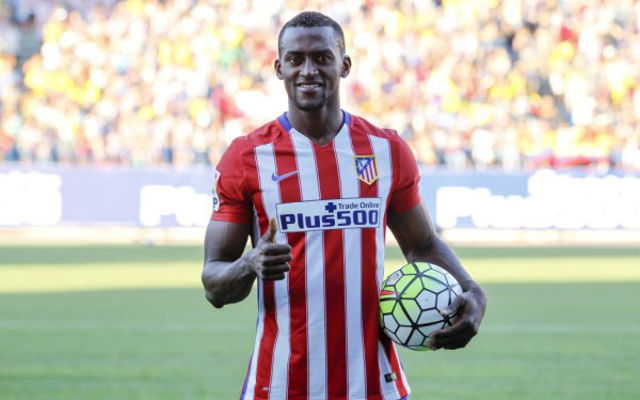 Chinese giants Guangzhou Evergrande have added their own mark to the list of big name players heading to China during the January transfer window by completing the signing of Atletico Madrid striker Jackson Martinez for a stunning €42million (£31.8m), Goal.com reports. The Colombian international had been tipped to head to Chelsea as part of a potential swap deal that would have seen Diego Costa head back to the Spanish capital, but Guangzhou have instead sought to smash the £21m record Jiangsu Suning set for Blues midfielder Ramires recently. He will now join the likes of Ramires and Gervinho and Fredy Guarin in what is becoming an increasingly popular league for players still regarded as being in their prime. The 29-year-old has penned a four-year deal with the club after successfully completing a medical on Tuesday and will be managed by former Chelsea boss Luiz Felipe Scolari. Martinez only completed a move to Atletico in a €35m deal from Porto last summer, but had struggled to make an impact with the side, who have now turned around a quick profit on his services.